This gentle, wooded, 1.69 Acre lot is readily accessible being just 0.5 mi into The Pines from Hwy 3. Seller Financing now considered with 50% Down Payment for approved buyers, bring offers! A paved road winds its way past the lot allowing gentle and easy travel to and from - a luxury not afforded by the majority of the already bastardized properties in existence in the area. There is an abundance of ground water as an unnamed drainage passes by the bottom of the property at the road... It doesn't necessarily "flow" with water, but seeps rather ALL YEAR LONG hinting that any drilled well will be highly productive. 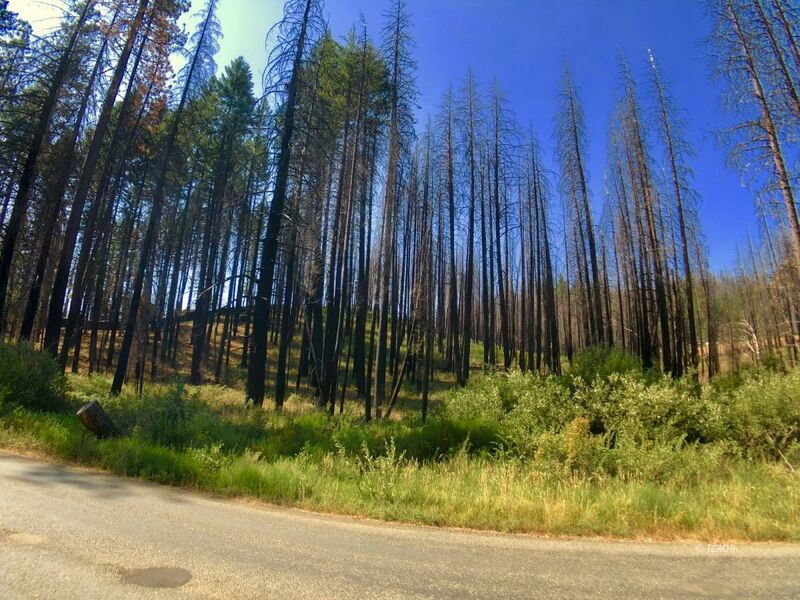 The property was a victim of the fires that tore through the area in 2015, and while half of the tall timbers have died and are still standing, half of these Fir Trees are still thick with green at the tops and rejoicing to have been spared. Zoning is Unclassified with a General Designation of Rural Residential. Property is vacant, open and unfenced so feel free to look around. Bring an offer, sellers are motivated.